Originally built in 1875 for the Shelton Family the two-story, Charleston-style farmhouse provides a glimpse into North Carolina history, heritage and crafts. 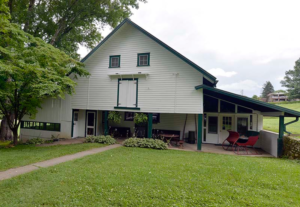 Our Pennsylvania-Dutch-style barn, part of the Shelton’s working dairy farm in the early to mid-20th century, contains a collection of antique farm tools as well as a century-old milking room. 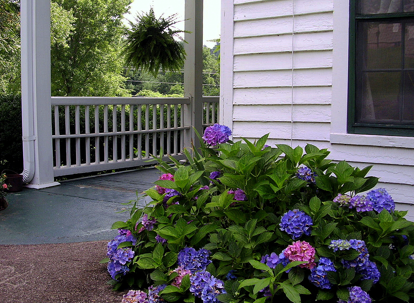 The scenic 4+ acre grounds at The Shelton House includes various feature gardens. Stroll through the lush green space, explore the gardens or reserve the space for your private event. 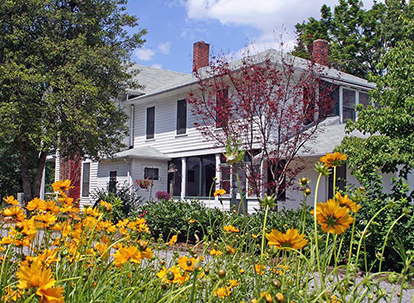 Join us for guided tours and field trips at the Shelton House and grounds.